New Townhomes in DeKalb County, GA! New Gated Community in Tucker! 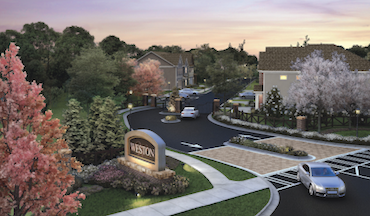 Weston is an eagerly anticipated community of 45 sophisticated single family cityhomes in the heart of Tucker, GA. Driving into Weston you are suddenly in a private oasis yet have everything you love minutes away and easy access to 285 and GA78. At Weston lifestyle is not compromised but enhanced with distinctive finishes and spacious plans carefully designed for entertaining and living life! This gated community will feature a private swimming pool and a neighborhood cabana for gatherings and events. For more outdoor activities, Weston provides close proximity to endless outdoor recreation, playgrounds, trails, and green space at local favorites such as Henderson Park, Kelly C Cofer Park, and Lucky Shoals Park. If big-city shopping and entertainment are on your list, downtown Atlanta is less than half an hour away - making a daily commute easier than ever, too. Students living in Weston attend schools in the Dekalb County School district, including Tucker High School, Tucker Middle School, and Brockett elementary school. SR Homes is a preferred builder in Weston, a Tucker, GA new home community of cottage style homes. For more information call SR Homes at 678-252-2596.